Jeremy W. asks: Why do we call non-taxed items duty free? Why is this allowed? Is this really the case or are you supposed to pay taxes anyway on items to your home country? The practice of imposing such taxes traces its origins to at least the ancient Greeks and Romans where duties were levied on a wide variety of imports and exports. As leaders through the ages recognized that this was an easy and efficient way to collect revenue, the custom remained popular even among the so-called barbarians who conquered the great early civilizations. By the Middle Ages, feudal lords were still imposing taxes on the goods that passed in and out of (and by) their lands, and out of this tradition arose both toll gates and customs houses. In fact, by the 1300s, the word costom and custume had taken the meaning of a rent, tribute or tax paid to a feudal lord or other local authority (such as a king’s representative). The word duty, meaning something due or owed, dates to the end of the 13th century, while the denotation of duty as a tax was first recorded in the late 15th century. 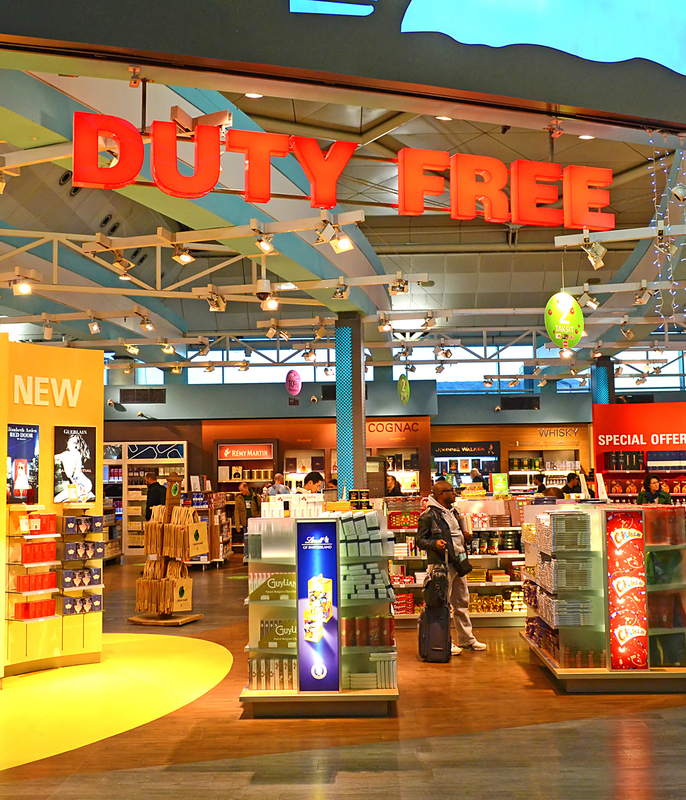 Duty-free, as an adjective, dates back to the late 1600s, where it referred to a taxing authority agreeing to forego taking its usual fee. The idea of exempting certain goods from import/export taxes as a matter of routine, however, is a relatively recent invention. Born out of the recognition that the dramatic increase in international, civilian travel (and in particular air travel) after World War II could produce significant revenue, specifically from tourism, one innovative Irishman conceived of the idea of placing tax-free shops in international airports. In 1947, Brendan O’Regan convinced the Irish government to pass a law that made the transit area of Shannon Airport (where he served as Catering Comptroller) as technically not a part of Ireland, and, therefore, any purchases made there wouldn’t be subject to tax. Passed on March 18, 1947, the Customs-Free Airport Act made Shannon Airport the first duty-free port in the world. Although initially Shannon Airport’s sales were limited to Irish linen and other locally-produced goods, Regan and company quickly realized that if they stocked other international goods and sold those duty-free as well, they would fly off of the shelves. Prominent brand names early-on included Dior, Chanel, Hummel, Minox and Waterford. So popular was the practice that within a decade, duty-free had also begun to be used as a noun to denote the goods purchased in the shop. Other duty-free shops followed, including those established by the American company, Duty Free Shoppers (DFS) in Hong Kong in 1960 and in Hawaii in 1962 (the first duty-free shop in the United States). Note that duties are not only imposed by an exporting country, but may be levied when you enter a country, as well. The United States imposes duties on a wide variety of purchases, although there are exemptions, depending on where you purchased or received the item, how long you were there, your residency status and the value of the goods. For example, a US resident who has spent at least 48 hours abroad is usually able to bring back $800 worth of goods without tax, with the next $1,000 worth of goods taxed at a 3% rate, and anything more than that taxed according to a tariff schedule; if the US resident did not spend at least 48 hours in the foreign country, the base exemption amount reduces to only $200. On the other hand, for US residents, the exemption doubles for imports from US insular possessions (e.g., Guam). Note that the rules and exemption amounts are a bit different for non-residents visiting the US who bring goods with them. Of course, there are exceptions to the exemption, and certain goods, like alcohol and tobacco, are treated differently, depending on the product and the country where it was purchased. For example, US residents returning from Europe with one liter or less of alcohol may bring that in duty-free. It is important to remember that duty-free only applies to goods purchased for personal use, not for resale, and the taxes imposed on the latter (and any exemptions) will be governed by other laws, regulations and trade agreements such as the Generalize System of Preferences (GSP) and the North American Free Trade Agreement (NAFTA).